Now with additional features and lighter than ever before, the Ultra™ Pro Vest is even better for long distance training and racing. 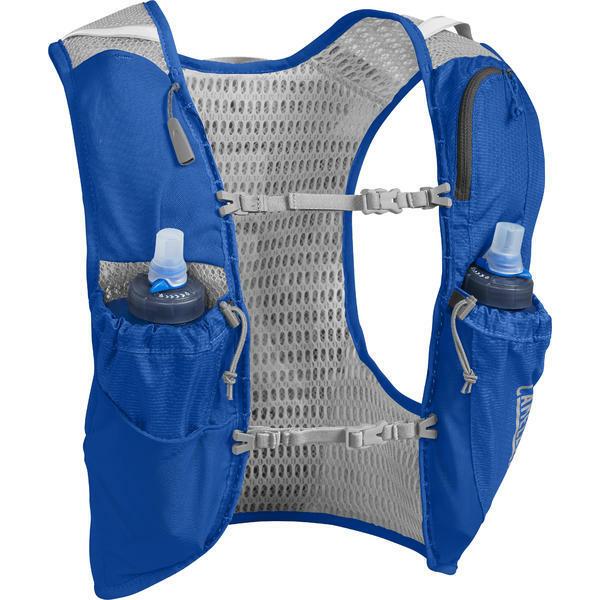 Available in multiple sizes and equipped with two Quick Stow™ flasks, the Ultra Pro continues to put comfort above all else. 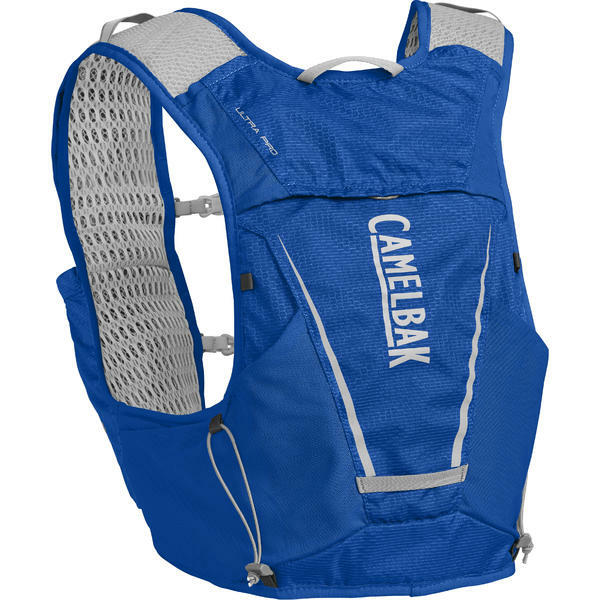 Made with our new 3D micro-mesh, the updated Ultra Pro offers increased comfort and ventilation, additional front and back reflectivity, simplified dual sternum strap adjustability and a removable safely whistle. 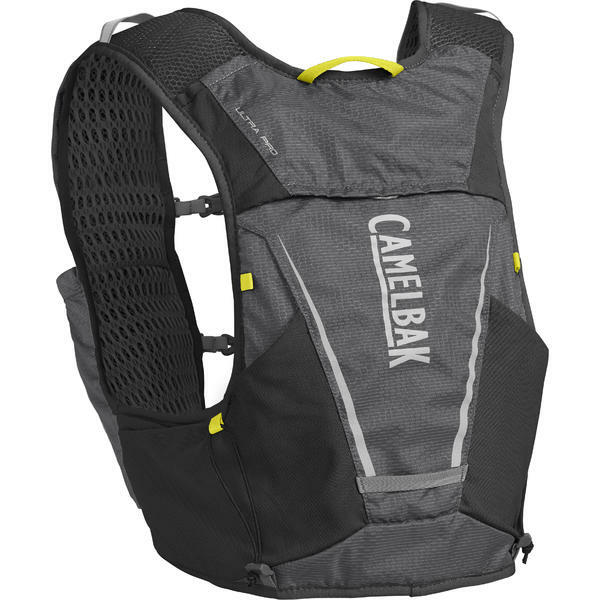 It also includes even more front cargo storage for easy access to fuel and a secure zippered pocket for your phone. 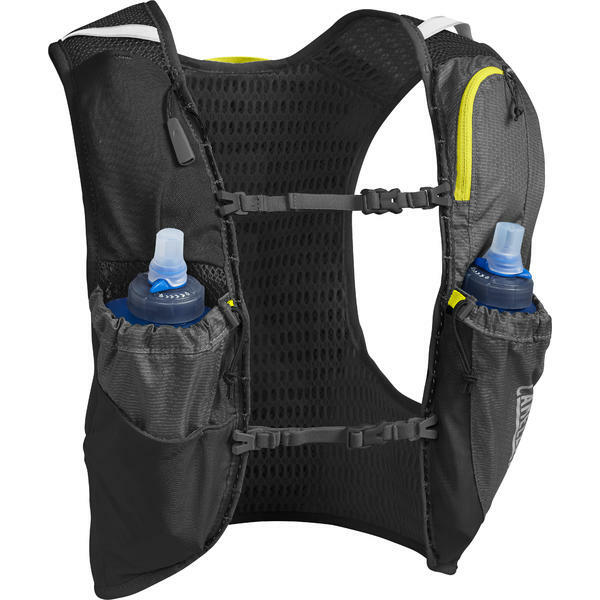 The stretch overflow pockets have been updated for easier access to extra layers or essentials and it can accommodate a 1.5L reservoir for longer self-supported runs.